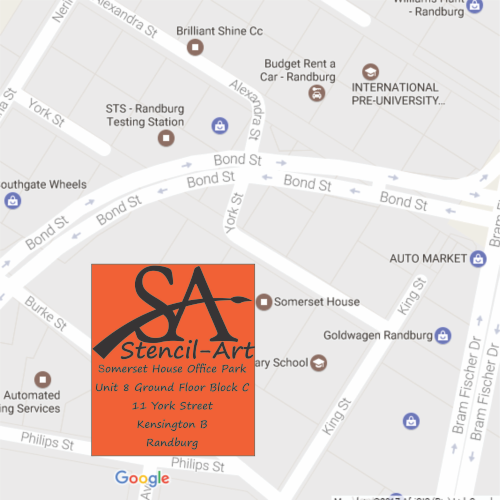 Stencil-Art is situated in Randburg, South Africa and have been trading since 2013. We specialize in supplying more than 8000 mixed media arts and crafts supplies directly to the public via the Online and Brick & Mortar Shop in Randburg. We are retailers and offer no trade/wholesale accounts or discounts. We do not DESIGN or CUT Custom Stencils.